Join us for some community felting! We live in a remarkable neighborhood. With a continent-long river on one side and a city-to-city train on the other, people from near and far have found their way to a home in Prospect Park, some for a semester, some for generations. Our neighborhood is a crossroads of history and future, nature and urban living, handcraft and craft brewing—and it’s changing by the minute. What connections can keep us grounded in Prospect Park even as it changes around us? Building a Neighborhood Together is a giant 7×8-foot felt board with a neighborhood map as the foundation layer. 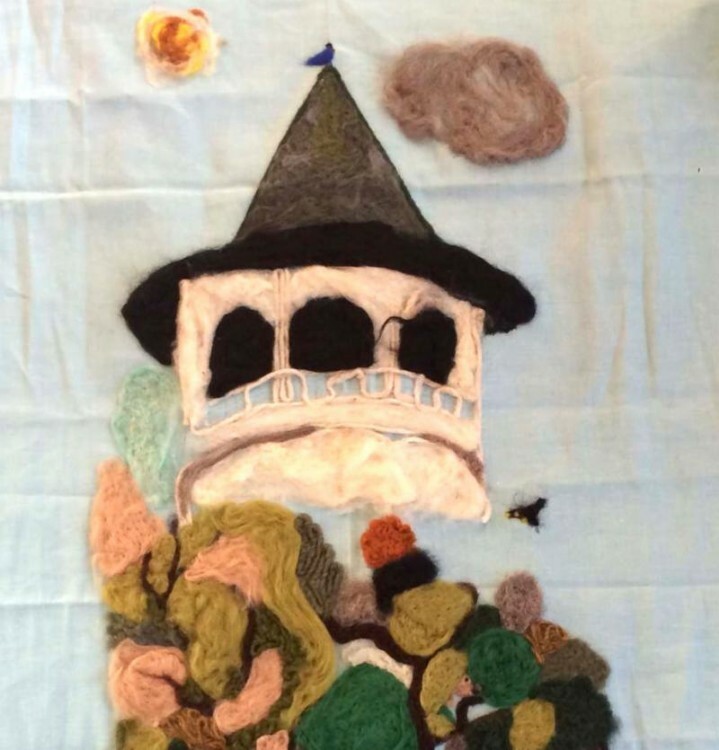 Community members are invited to participate in creating neighborhood landmarks using wet and needle felting techniques and wool. These elements will be attached to the felt map so that they may be moved and changed as the neighborhood changes. Textile Center is proud to be a part of the Prospect Park neighborhood in Minneapolis. Building a Neighborhood Together: Our Place in Prospect Park will be unveiled as part of our 25-year Anniversary Celebration in 2019. What would you like to see added? Share your ideas with the Project Leader, Sarah, at sarah@sarahnassif.com. We need volunteers! Don’t know how to felt? We can teach you. For more information, contact Sarah Nassif at sarah@sarahnassif.com. This project is supported by the Prospect Park Co-op Legacy Fund and donors to Textile Center’s Annual Fund.